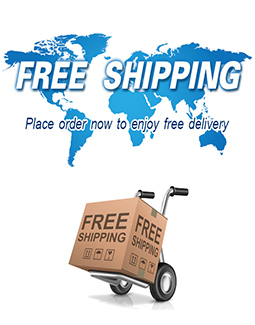 Shipping Fee: Free shipping to United States, Canada, Europe, Australia. Other countries may need pay some extra charges, please contact us before place order. Import duty: Please note that import duties, taxes are not included in the price of the item. Warranty: 1 year quality guarantee. Car Themed Inflatable Slide is a popular bounce house for kids or adults, and lt's unique & irreplaceable! Size of best bouncy house is fit for you. Our Inflatables Toys are comprised of 18 oz. Commercial grade, lead-free PVC materials. Commercial Car Themed Inflatable Slide is a best choice for you! Car Themed Inflatable Slide Manufacturer provide a low price and hight quality products. Why no action? Be quality enjoys it! Inflatables Toys is one of our most popular bounce houses for kids or adults! Double reinforced workmanship makes it much more stronger. What's more, it is not too heavy because of new 15oz pvc materail. Car Themed Inflatable Slide has lots of fun functions.Such as jump, climb, slide, throw balls and so on.Kids love to play inside for one day! Our lighter&stronger Inflatables Toys will bring much success to your rental business. Are Car Themed Inflatable Slide safe? yes, We supply good safe and comfortable in All Our Inflatables Toys Products. Can Car Themed Inflatable Slide be recycled ? Yes It can recycled. Do Inflatables Toys work goods? Yes It works wonderful, you can play it outdoor or indoor, your kids would love it. Where is your Inflatables Toys products, how to buy it in you Website ? yes, You can shopping it online in our Website, We have branches in the United States, Australia and Canada and China. We'll ship it to you when you want to buy Inflatables Toys. It is worth noting that our company provides global logistics warehouse services. such as Raleigh,London,Miami,Animals,Paris,Houston,California,Canada,Perth,Sport,Florida,Oklahoma,Midi,Texas. All of these places our company can serve you.